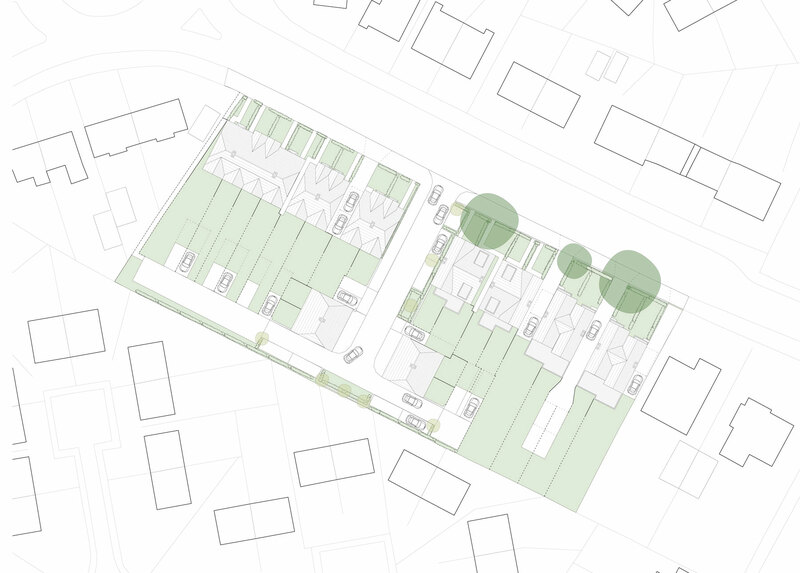 The project comprises twenty new-build family houses on the site of a former public house. By demolishing the pub the focus of the site is drawn back to providing a blank canvas for innovative housing to respond to a unique setting. The result is the formation of a number of distinct house types that are arranged to both fall in line with the current properties along mauldeth road and provide attractive frontages and create private gardens. Private gardens are to have low fence lines and the rear elevations are designed to appear as secondary frontages to present a welcoming environment. 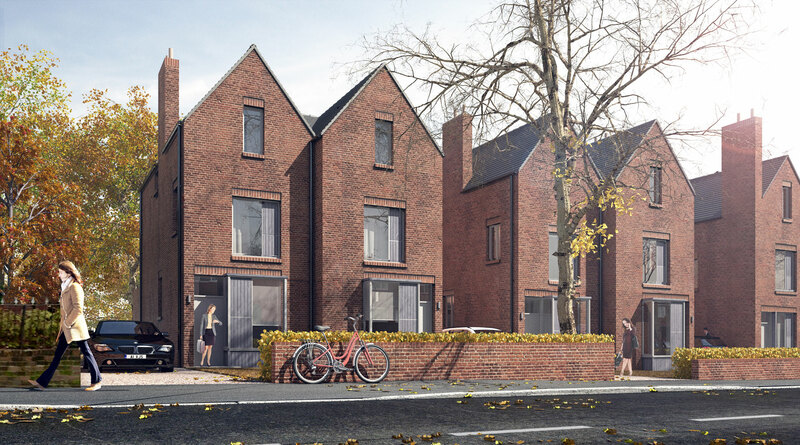 The properties are initially arranged as a continuation of the semi-detached houses situated along Mauldeth Road, the layout aiming to respond to the grain of the surrounding streetscape. 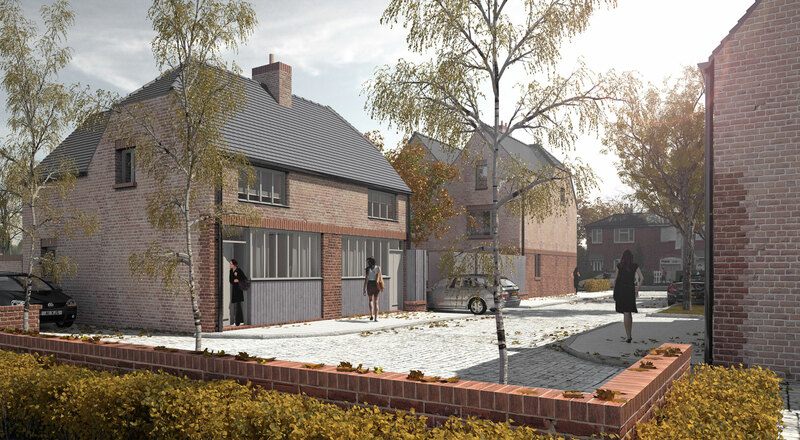 The new houses vary in appearance and size reflecting the character of the buildings within the local area. 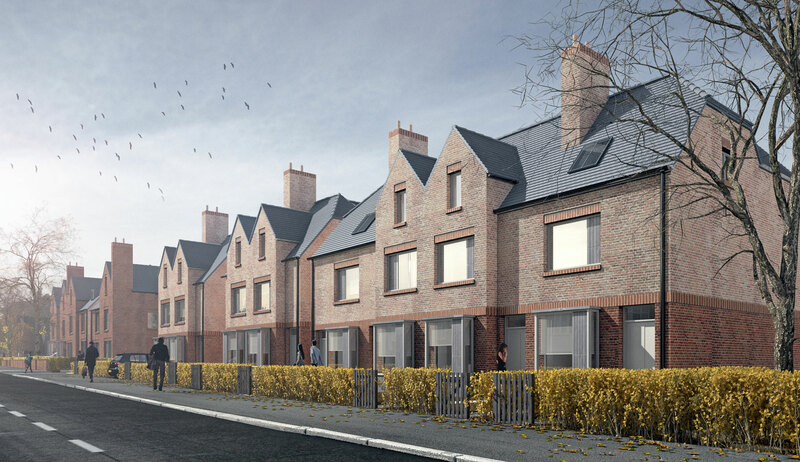 The access road central to the site leads to four two bed mews houses positioned to the south of the site forming a cul-de-sac. Additionally, this road is designed to access the parking required to service the properties facing Mauldeth Road. As a result the majority of the car parking is concealed from the view of existing surrounding streets. The access road leading to the cul-de-sac arrangement to the south of the is driven by the historical footprint as dwellings were traditionally located behind the street frontages. 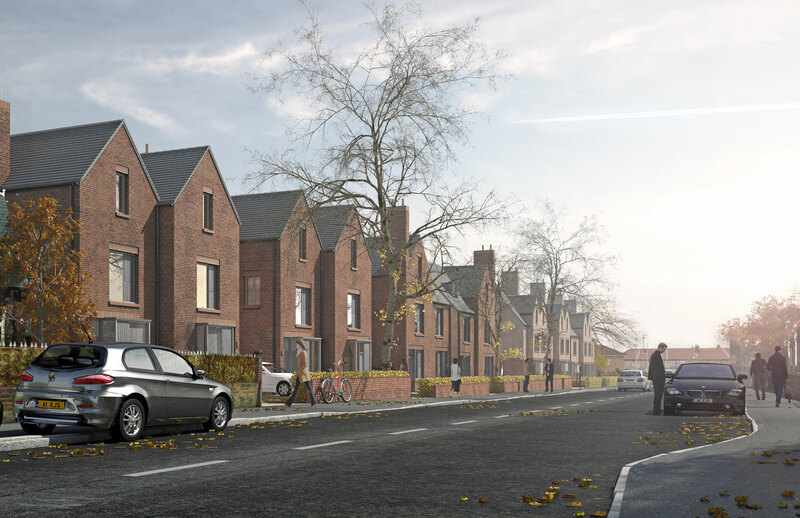 Additionally, the two bed mews houses on each corner of the access road aid in concealing the parking preventing them from being visible from Mauldeth Road. Pedestrian access to each dwelling is from Mauldeth Road, with access to the four properties to the rear via a pedestrian path adjacent to the access road.